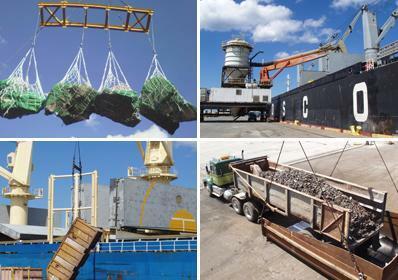 Welcome to Hawaii Stevedores, Inc.
To be the most efficient and respected stevedoring company in Hawaii. We have the full confidence of our people, our customers and our investors. As we continue to deliver on our promises, we build even stronger confidence in Hawaii Stevedores and our ability to deliver service excellence to our customers, impressive returns to our investors and attractive growth opportunities to our associates. Establishing and maintaining our credibility is the key to our future! They are the one and only reason for our existence. They pay our salaries and wages. They provide our health care. Without them we have no business. Service excellence is what weâ€™re all about. We consistently raise the bar and lead our industry in delivering customer service excellence and service dependability. We care for all our constituents . . . associates, customers, suppliers, investors and our neighbors. We treat each with due respect and courtesy. Our people set the industry standard and we make sure they are well-skilled, work in safe environments, are well-informed and have challenging assignments that contribute to our corporate growth and their individual development. We strive to be good citizens in our communities and good partners to our customers and suppliers. As a team we practice what we preach. We guide one another to perform our work at appropriate cost levels and understand that our customers are dependent upon our being efficient. We ensure our cost consciousness supports excellent service to our customers, quick decisions and flawless execution. We do not choose between cost effectiveness and service excellence; we strive to deliver both. This is one of our core strengths and the real foundation of our competitive advantage. We respect one another. Our management team and associates work together to deliver results. We will not tolerate organizational politics, and we will stamp it out wherever it exists. No one will outperform us because we have the best teamwork in our industry. We donâ€™t keep secrets. We broadly share our plans and strategies. We filter out rumor from fact, and we talk about our companyâ€™s views, values and our industryâ€™s issues clearly and often. We listen. We reinvest in our core and donâ€™t yield to the marketplace. We consistently innovate and introduce new products to help our customers improve their competitiveness. Fervently following the first six â€œCsâ€ ensures we will always be tough to beat! The services provided include supplying ship and barge lines with personnel and equipment for the handling of marine cargo and the processing of related documents. 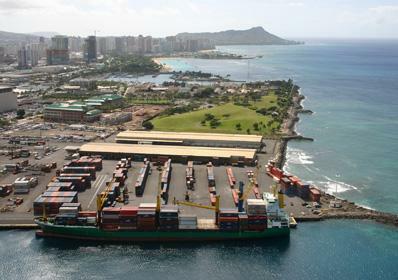 Hawaii Stevedores personnel are fully qualified to handle domestic and foreign containers, container cargo, break bulk cargo, autos, ro-ro, lumber, heavy lifts, bulk commodities, and passenger liners.